Northland Publishing was founded in 1958 as a commercial printer, and is now recognized as an award-winning publisher of finely crafted books that capture the spirit of the West. Northland specializes in non-fiction titles with American West and Southwest themes, including Native American arts, crafts, and culture; regional cookery; women's history; popular culture; interior design and architecture. 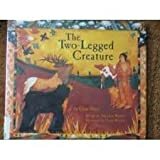 Specifically interested in books with these subjects or themes: adult non-fiction, native american crafts and culture, fine art, natural history, western life and lore. illustrated, entertaining and thought-provoking picture books for children, including spanish-english bilingual titles. 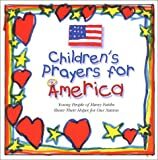 seeking picture books that relate to western and southwestern USA, specifically exceptional bilingual (spanish/english) stories, original stories with a southwest flavour, southwestern twists on traditional fairytales, activity books about the region. no longer accepts middle-grade readers or chapter books.